Eduard is now well-known for its high-quality limited run kits, though it started its existence with photo-etched details. The technology and the product offerings have significantly evolved since Eduard's early days! When Eduard did enter into the kit market, it addressed the 1/48 World War I fighter niche in its early releases, and when it did venture into post-WWI subjects, this Yak-3 was one of the first. Since the development of its first kits, Eduard has been adding detail and value in its product line by creating the Profi-Pack kits (bundling lots of extra details with the kit), Royal Class kits (with even MORE goodies including two complete kits), and upping the ante with color photo-etched details and pre-cut yellow-tape paint masks. With all of this increasing complexity, Eduard saw the opportunity to circle around and address the modeler with less experience, less time to build, or both. This resulted in the Weekend Editions which are simple styrene kits and nice markings that can usually be finished in a weekend. 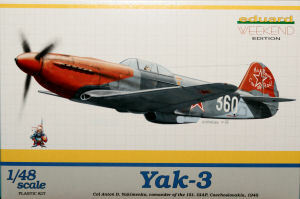 This Yak-3 kit has now been released in the Weekend series and at a very reasonable retail price at that. 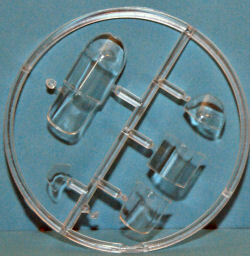 The kit is presented on two parts trees molded in light gray styrene plus a single tree of clear parts. 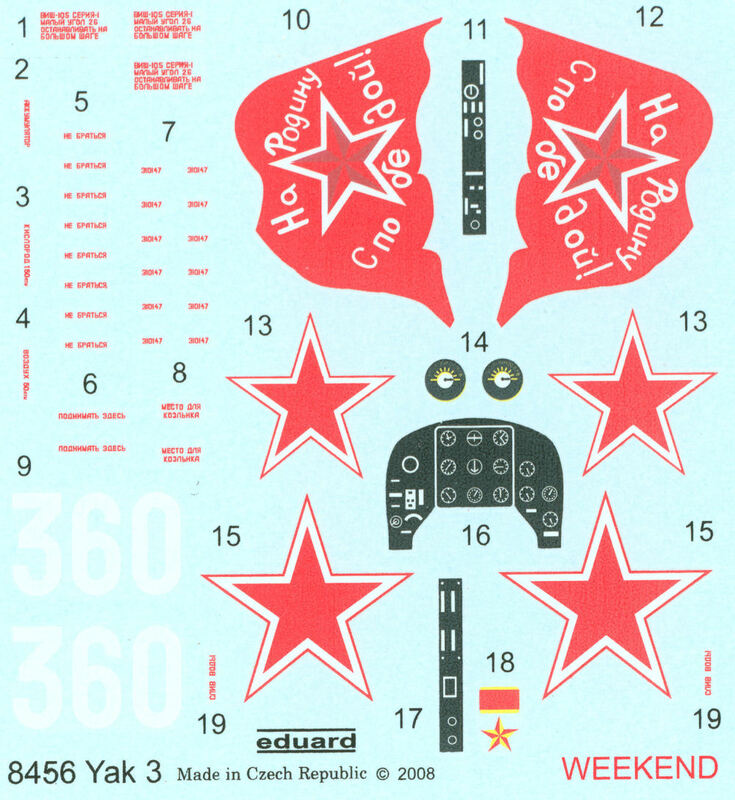 If you must have photo-etch, Eduard has released a set for this kit for the AMS crowd, but as you can see in these images, this is a very simple project. The cockpit is nicely rendered and will look quite nice even without photo-etch. 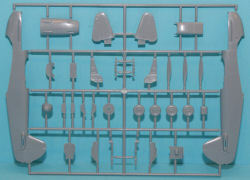 Decals replace the photo-etch for instrument panel and side console details. If you're looking for the cockpit floor, it is there on top of the wing. 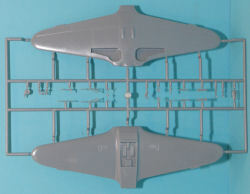 The insides of the fuselage halves have more cockpit detail molded into the insides which, when assembled and mounting atop the wing, will look detailed to the eye with the right painting and shading in there. The landing gear is also very nicely done and captures the look of the pneumatic mechanism. The only real option in this kit is the canopy, you have your choice of a one-piece closed canopy or a three-piece open canopy. 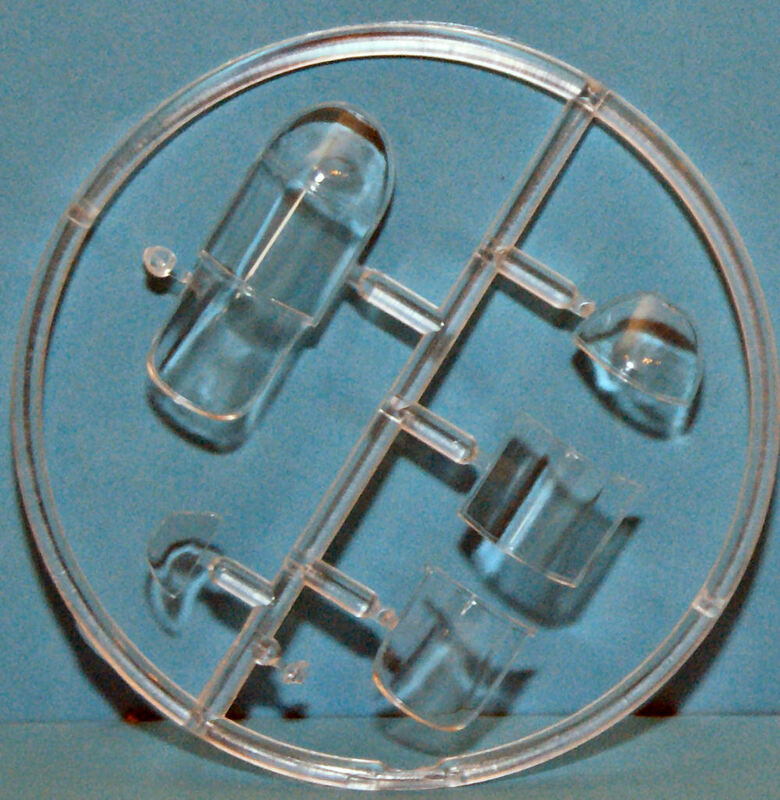 To keep costs and complexity down, one set of markings are provided in this release. 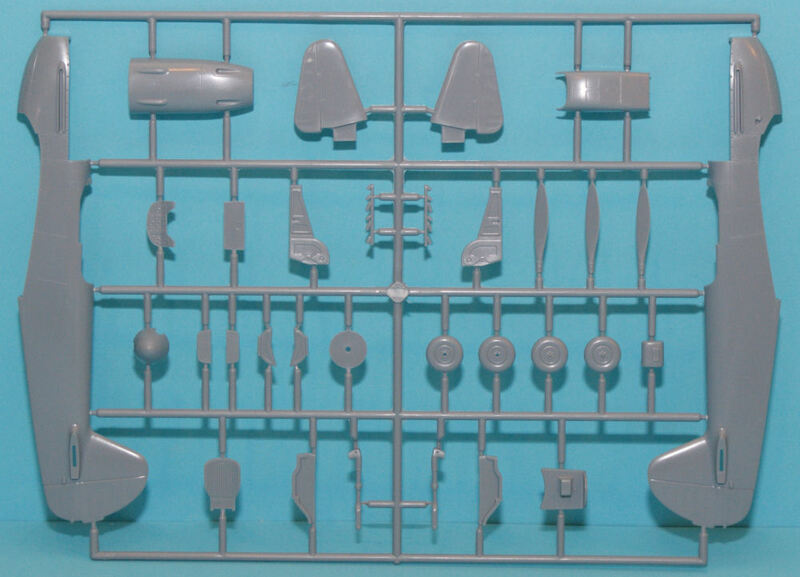 The subject of this kit is the Yak-3 of Colonel Anton D. Yakimenko, commander of the 151 Guards Independent Aviation Regiment (GIAP) stationed in Czechoslovakia in 1945. This is a very colorful tri-color camouflage scheme that also carries a distinctive red nose and spinner to match the patriotic flag motif on the tail. This is definitely one of Eduard's nicer kits and its simplicity makes it ideal for the Weekend series. 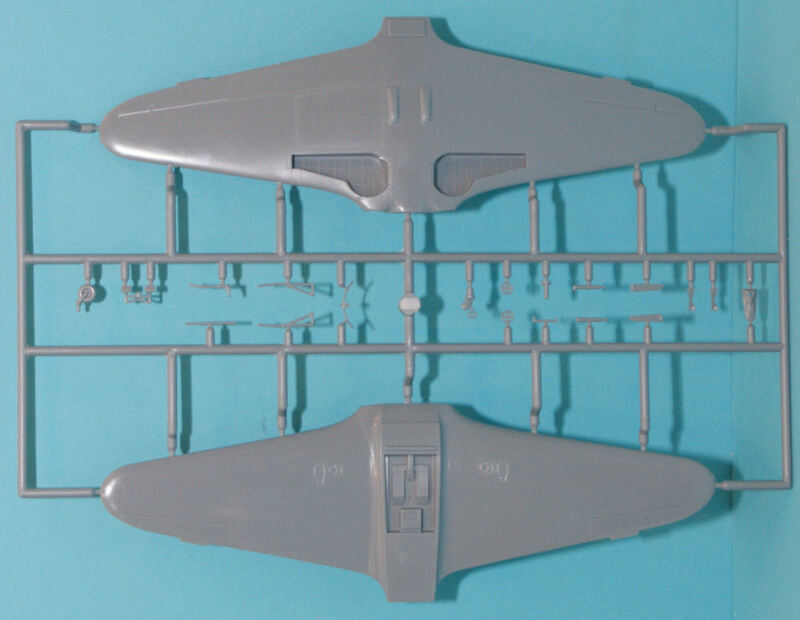 AMS modelers do still have the option of acquiring the photo-etched parts separately, but cost-conscious modelers will really appreciate the very low retail price!